Colombia’s former Peace Commissioner lashed out at President Ivan Duque, claiming he has given in to far-right elements within his party by turning against the country’s war crimes tribunal. 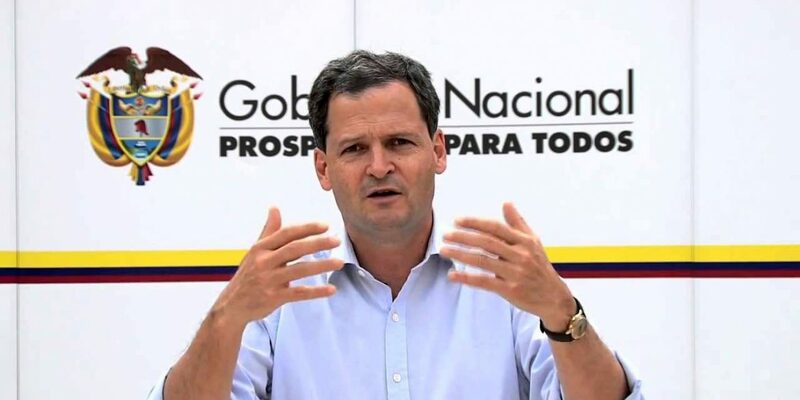 Sergio Jaramillo was one of the architects of the 2016 peace deal with Marxist FARC guerrillas and has remained out of the limelight until Duque’s recent refusal to sign off on the Special Jurisdiction for Peace (JEP), one of the most important elements of the peace process. Jaramillo explained what Duque’s decision means for Colombia, what it reveals about national politics and the Democratic Center party, and suggested a surprising strategy for managing the interests of former-President and Congressman Alvaro Uribe. Last week, Duque refused to sign off on the statutory law that defines the powers of the country’s war crimes tribunal, JEP, unleashing a constitutional crisis by demanding that the law is returned to Congress, despite it already having been approved by Congress and the Constitutional Court during a two-year process. The decision marks a moment of before and after for this government. Jaramillo expressed serious concerns around the President’s challenge to judicial authority, writing off a 750 page court ruling as inconvenient, and challenging parts of the ruling itself, which have constitutional status. Duque’s legal objections to the law underwriting the war crimes tribunal are objections for objections for objections sake, and it would be too easy to underestimate the effects of the action due to the technicality of the issue. There is a real risk that the entire bill will be archived. The aim is to force a vote in Congress, and perhaps to derail the JEP entirely, openly an aim of Uribe’s. The intention of Uribe’s Democratic Center party is to leverage objections to deepen political division in preparation for regional and presidential elections. They have nowhere else to turn. It is a party of radical opposition extremists, who live by making opposition, even when in government. Jaramillo argued that Uribe’s government had genuine benefits, creating the conditions for peace, but was highly critical of his party. They are two different animals, to such an extent that, curiously, very few of the party participated in their government, because it was created for something else: radical opposition. The party constitutes what he calls “extreme populism,” a trend across the world, from Poland, Spain, and Germany, where populist politics arises and disrupts democratic function. They have the political system against the wall. The strategy is the same: to use hatred to create political identities that allow them to seize power. It is an agenda of destruction. The JEP, still “in its adolescence,” has certainly faced its share of issues and controversies, not least recent corruption scandal around Prosecutor Bermeo, but it maintains the potential to forge forwards transitional justice. Colombia has a very deep trauma after 50 years of war. This is the time to deal with that trauma and face the future as a society. And the JEP is at the heart of that effort, with the other institutions of the Integral System. Undermining the peace process, and particularly transitional justice, carries huge risks: rearmament is on the rise, as there is a widespread loss of faith in the government commitment to the peace process, and to justice according to the agreed processes. This is a national security problem of the first order.